Gently polishes to even tone & brighten. 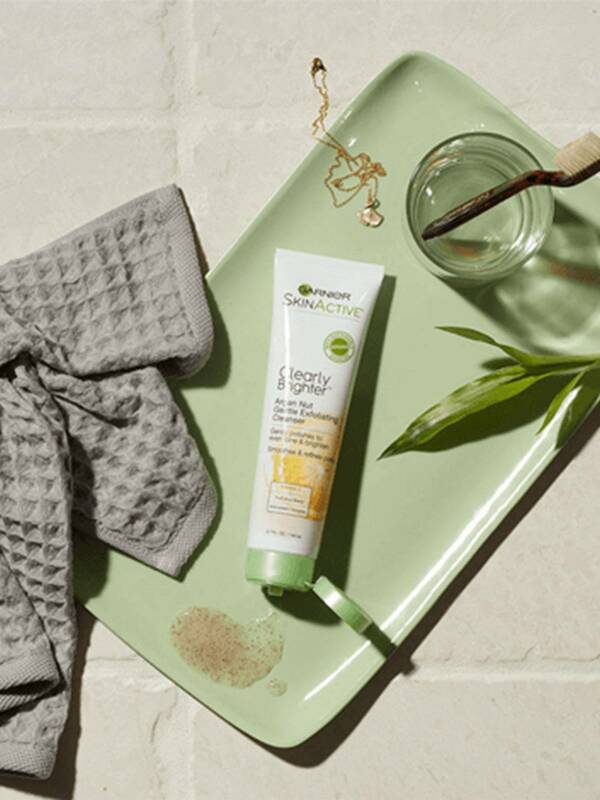 This effective, yet gentle daily exfoliating cleanser works double duty to brighten and deeply cleanse skin. A non-drying formula with finely ground, sustainably sourced Argan Nut shell, Antioxidant Vitamin C and Multi-Fruit Acid blend helps to refine pores, even skin tone and wash away dirt, oil & makeup in one step. Use twice daily. Wet face and hands. Gently massage, avoiding eye area. Rinse thoroughly and pat dry. 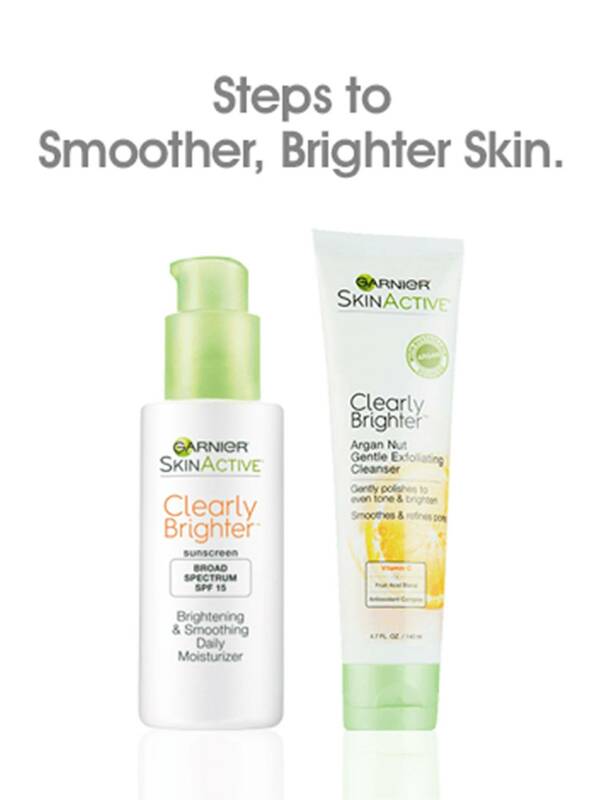 Follow with a Clearly Brighter moisturizer. Thanks to its natural emollient properties, Argan Nut helps to seal moisture into dry skin and promotes a healthy skin-oil balance. This indulgent ingredient contains Vitamin E which helps protect skin from the elements and moisturizes for a fresh glow. Naturally found in leafy vegetables like spinach and animal proteins like beef liver, Vitamin A is popular in beauty formulas that tout strengthening benefits. An antioxidant known for helping smooth skin and slow the appearance of aging, it also boosts hair growth. Rated 5 out of 5 by boojoo from Best Cleanser Ever I’ve been using this for about half a year and I seriously love how smooth it makes my pores look and face feel. It’s so good. 100% Reccommend!! 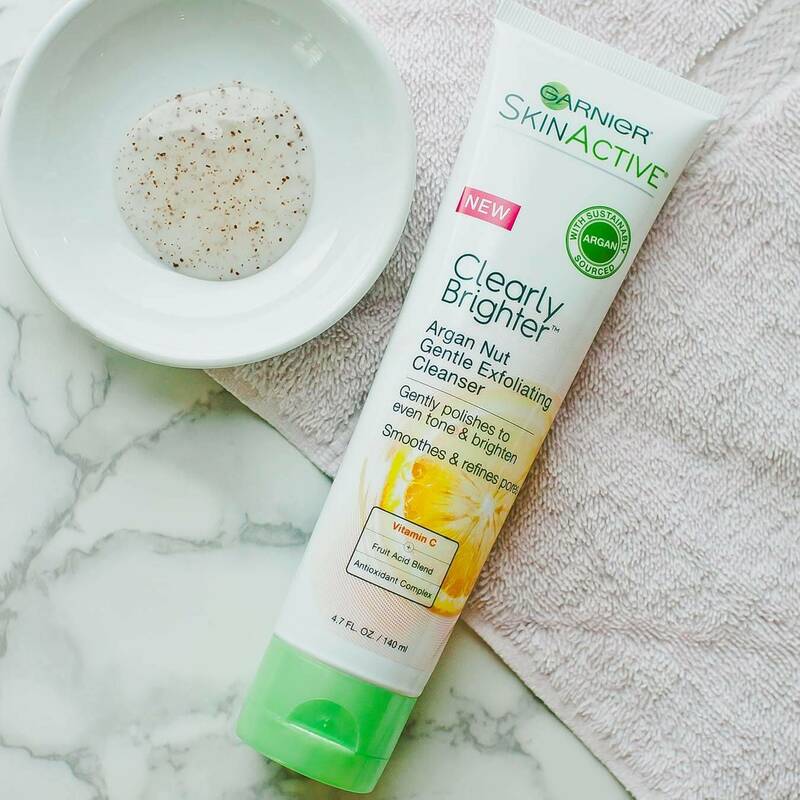 Rated 5 out of 5 by kimberly7 from Clearly Brighter Argan Nut Gentle exfoliating I love this product, but I cant find it anymore at the store. Walmart, Ulta. do you still sell it? Rated 5 out of 5 by NikkiF87 from Amazing Gentle Exfoliating Cleanser! I recently received a free sample of this Clearly Bright Argan Nut Gentle Exfoliating Cleanser an I'm absolutely impressed by how amazing this works for my skin! This cleanser is clear an it is thin, goes on lightweight, it has excellent exfoliating beads, a beautiful scent, an it has a satisfying lather, as you are scrubbing it in you can feel it gently an effectively removing dead skin an junk from your face! Once you rinse it off you reveal gorgeous bright healthy glowing skin! This cleanser has definitely hydrated my face, it has evened my skin tone, softened my skin, and I can feel a protective layer cover my face to help seal in moisture an keep out dirt! This has me looking flawless! From the first time I used this I saw results an I have been deeply satisfied with the benefits from using this! I would highly recommend this product an I have! Rated 5 out of 5 by samara20 from I LOVE this exfoliator This product is sooooooo amazing. I have really dry skin with texture/some flakiness and this exfoliator is enough to smooth everything out without irritating my skin or being too abrasive. I use this every day in combo with the skinactive clearly brighter moisturizer. Please don't discontinue this product ever ever ever ever. Rated 5 out of 5 by Cavee from Can feel the difference! I have a combined skin and this works better than all. The day I used it, I feel fresh and when not my skin looks dull.